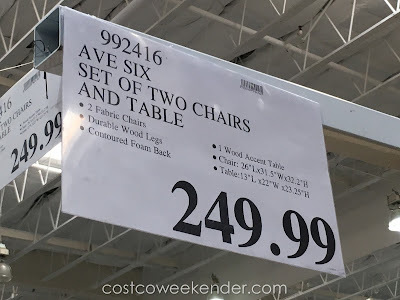 As we all know, furniture can get somewhat pricey. 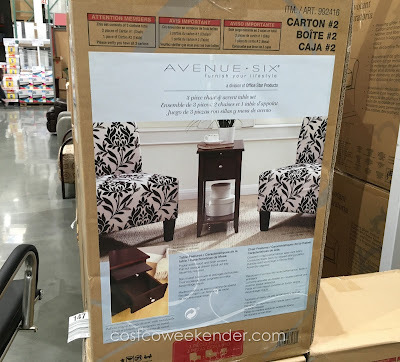 So when I find a great deal such as the Avenue Six 3 Piece Chair and Accent Table Set at Costco, I can’t help but try to find some space for it in my home. For under $300 you get 3 pieces of furniture to complement the couch and coffee table that are already sitting in your living room. 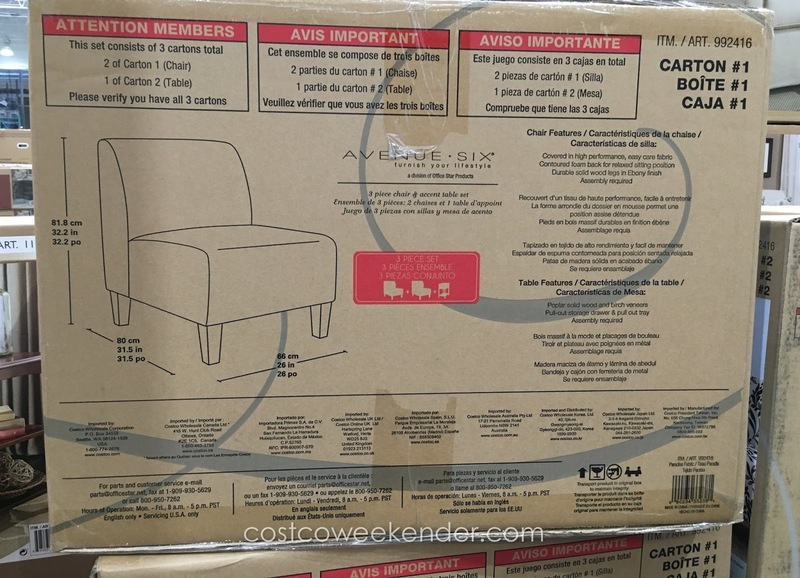 You may have an extra large living room which a sofa and chair can’t fill up entirely. You may just be looking for that one or 2 pieces to complete the look. Or maybe you’re in the market for a comfortable chair on which to read a book or just relax. Costco has you covered with the Avenue Six Set of Two Chairs and Table. 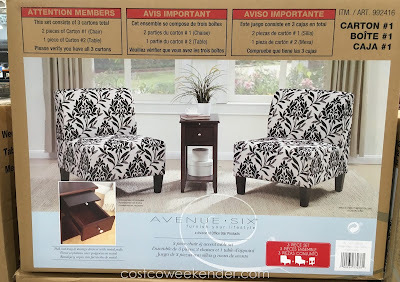 The chairs have a unique fabric pattern but the colors will go with just about any color scheme you have going on. Okay any idea of how much weight it will hold? My friends are all overweight, and I do not want this to collapse under them,. 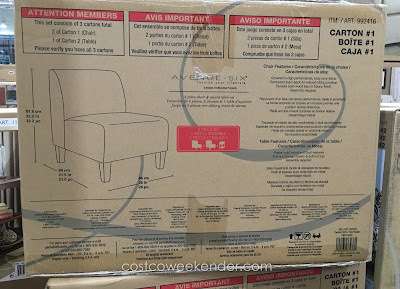 Hello @Troy, unfortunately the box for the Avenue Six 3 Piece Chair and Accent Table Set doesn't indicate what the maximum weight limit is for the chairs. Hopefully, they're sturdy and comfortable enough to accommodate everyone.